One of the great things about bird photography is getting better at doing it. One sign that this is happening is that some of your old favorite shots start to disappoint. I wanted to share a few former favorites and how they’re not as good as I once thought they are. This first example was a favorite. 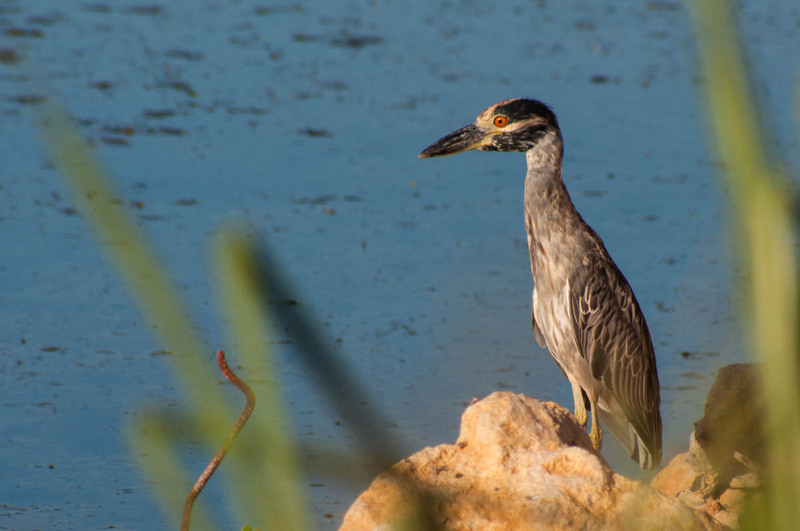 The Yellow-crowned Night Heron is captured in pleasantly warm evening light against a simple, high-contrast background. A few bits of blurry grass in the foreground frame the heron without being distracting. The problem? A crooked piece of rusty rebar sticking up on the left side of the photo. Does it ruin the photo? Perhaps not. Does it make the worse? For sure. Could it be fixed in Photoshop? Probably, but why not just go out and get a better shot?